The recent economic downturn and expansion of the Earned Income Tax Credit ("EITC") means that more and more professional preparers will be encountering clients who may be eligible for the credit. While this might be welcomed news for taxpayers, it presents a minefield of dangers for preparers. 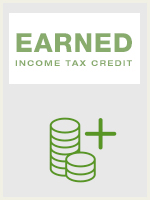 Unlike other tax credits, the EITC imposes special compliance burdens on those who prepare the return, exposing tax professionals to potentially severe consequences for a lack of due diligence. In this environment there is no substitute for a thorough understanding of preparer obligations. This course explores the general requirements for the EITC and focuses on the preparer's responsibilities when undertaking to prepare a return claiming the credit. The due diligence requirements are set forth in detail, with examples illustrating the application of the basic principles involved. After completion of this course you will be sufficiently acclimated to the EITC preparer rules to confidently prepare returns for lower income clients.